Please check back...More Coming Soon! Click on "RSVP Here" button and complete the quick on-line RSVP. Please make sure to review all of the workshop descriptions below before you submit your 5 favorites. You and your special guest will participate in activities together. Each student needs to complete their own RSVP. Grab all the girls & your paint brushes! 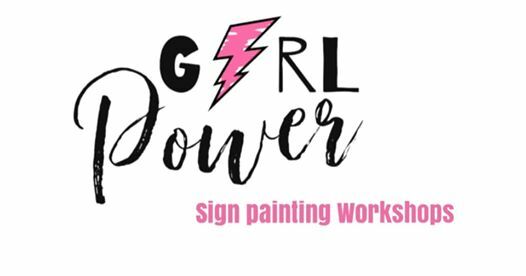 Lakehouse Lessons is running a sign painting workshop focusing on girl empowerment. You and your special guest will get creative painting a sign together during 1 of our 3 workshops. Visit our booth at the trade show from 12-1 to learn about how you can host a fun event at home spending quality time together being creative and feeling empowered. GRL PWR! Behind the Box - Join us for a fun workshop where your opinion matters! Be part of this focus group that looks at products for upcoming STRONG self(ie) boxes for tweens and teens. Learn how they source products to fit into their mission of health(ie), smart(ie), beaut(ie) and funn(ie) and help them find products to inspire girls and moms just like you! ​You can find more information at STRONG self(ie). All Students & Adult Guests are encouraged to come and try Wheelchair Basketball with Synergy Adaptive Athletics. Learn how to use the wheelchair along with some new basketball skills. Synergy offers a wide variety of year-round, specially designed, athletic programs to help youth and adults with a physical disability get the most out of life. ​ Synergy Adaptive Athletics was developed as an opportunity for people with a physical disability or visual impairment to participate in both competitive and recreational sports. Synergy offers 5 primary adaptive sports, including Wheelchair Basketball, Boccia, Archery, Rock Climbing, VI Bowling. We also offer an adaptive sports equipment lending service so athletes can participate in sporting events and programs in their schools and communities. You can find more information at Synergy Adaptive Athletics. Creative Self-Care: Looking for creative new ways to take care of yourself? Well look no further. Learn how to practice Creative Self-Care, express yourself and embrace your creativity through the arts (dance, art, music, drama, creative writing, etc.). Hands on experiences offer an opportunity to explore several options to incorporate into your daily practice of self-love, while making connections to self and others through the arts. Come and have fun while experiencing what it feels like to take care of yourself. Take time for yourself today! Find more information at Center for Creative Arts Therapy. "Journaling is More Than a Diary"
Design & Create Your Very Own Journal Book with Jordan Tiege & Abby Koch from Good Therapy in Naperville. Come and explore how to use journaling as a way to express your thoughts and feelings, reduce stress, show gratitude, find solutions to problems or conflicts, and love you for you. You can find more information at Good Therapy. Do you love to play video games? Do animated movies fascinate you? Do you want to make a social impact? Dive into the endless world of coding and learn how to create your own animations and design a game. Join us and explore how coding empowers you to change the world! Codinu offers after-school coding and robotics courses to girls and boys, ages 7 to 17. Special features include Highly Qualified instructors with Masters in Computer Science, 4:1 student-instructor ratio, beginner to advanced curriculum and fun learning environment. You can find more information at Codinu. Join Edgewood Clinical's T.E.A. (Think, Explore & Act) Party. You will try various teas and munch on snacks while discussing and working on an art craft. 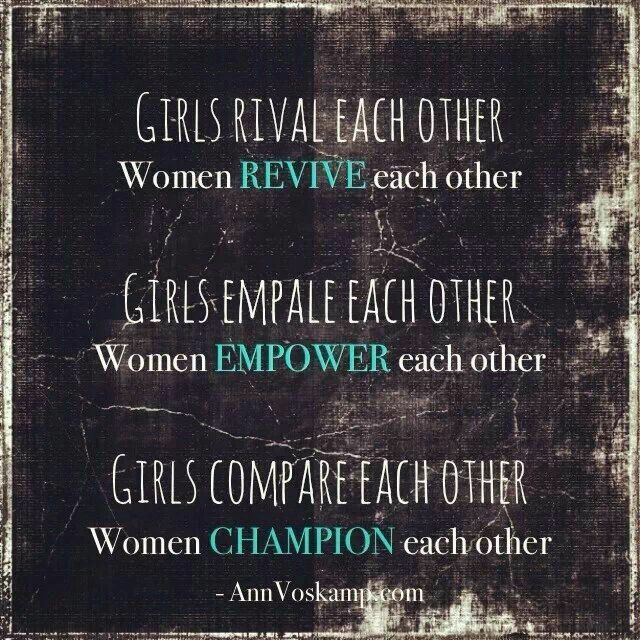 Come ready to connect and share with your peers what its like to be a girl in this world!! You can find more information about Edgewood Clinical Services. Women vs. Girls Balance Beam Challenge Course. You must utilize your teamwork, communication, and problem solving skills while staying on the course. Who will win?